3800801 670D John Deere 670D. Motor Grader. Spare Parts Catalog. Service (workshop) Manual. Operator's Instruction Manual. 3800802 670G John Deere 670G. Motor Grader. Spare Parts Catalog. Service (workshop) Manual. Operator's Instruction Manual. 3800803 670GP John Deere 670GP. Motor Grader. Spare Parts Catalog. Service (workshop) Manual. Operator's Instruction Manual. 3800804 672D John Deere 672D. Motor Grader. Spare Parts Catalog. Service (workshop) Manual. Operator's Instruction Manual. 3800805 672G John Deere 672G. Motor Grader. Spare Parts Catalog. Service (workshop) Manual. Operator's Instruction Manual. 3800806 672GP John Deere 672GP. Motor Grader. Spare Parts Catalog. Service (workshop) Manual. Operator's Instruction Manual. 3800807 770D John Deere 770D. Motor Grader. Spare Parts Catalog. Service (workshop) Manual. Operator's Instruction Manual. 3800808 770G John Deere 770G. Motor Grader. Spare Parts Catalog. Service (workshop) Manual. Operator's Instruction Manual. 3800809 770GP John Deere 770GP. Motor Grader. Spare Parts Catalog. Service (workshop) Manual. Operator's Instruction Manual. 3800810 772D John Deere 772D. 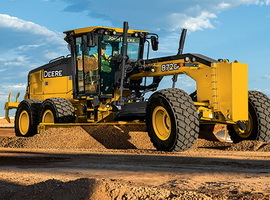 Motor Grader. Spare Parts Catalog. Service (workshop) Manual. Operator's Instruction Manual. 3800811 772G John Deere 772G. Motor Grader. Spare Parts Catalog. Service (workshop) Manual. Operator's Instruction Manual. 3800812 772GP John Deere 772GP. Motor Grader. Spare Parts Catalog. Service (workshop) Manual. Operator's Instruction Manual. 3800813 870D John Deere 870D. Motor Grader. Spare Parts Catalog. Service (workshop) Manual. Operator's Instruction Manual. 3800814 870G John Deere 870G. Motor Grader. Spare Parts Catalog. Service (workshop) Manual. Operator's Instruction Manual. 3800815 870GP John Deere 870GP. Motor Grader. Spare Parts Catalog. Service (workshop) Manual. Operator's Instruction Manual. 3800816 872D John Deere 872D. Motor Grader. Spare Parts Catalog. Service (workshop) Manual. Operator's Instruction Manual. 3800817 872G John Deere 872G. Motor Grader. Spare Parts Catalog. Service (workshop) Manual. Operator's Instruction Manual. 3800818 872GP John Deere 872GP. Motor Grader. Spare Parts Catalog. Service (workshop) Manual. Operator's Instruction Manual.